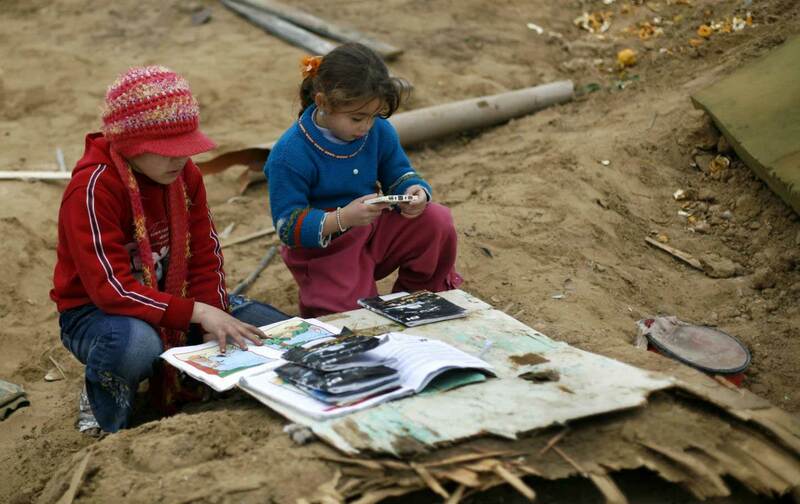 Public libraries in Gaza hold only 70,000 books for a population of 1.8 million. There are as many opinions about Israel and Palestine as there are minds and mouths (and fingers to type a tweet), but here is something everyone can agree on: People in Gaza need more books. He and his friend Shafi Salem have collected hundreds of books, which currently live in his apartment. His dream is to set up a library in a building of its own, with a coffee shop and a book shop—the sort of social and cultural amenity that is practically nonexistent in Gaza, where most of the public libraries have been closed or destroyed, and where the remaining ones hold only 70,000 books for a population of 1.8 million. Now the two young men have started a crowdfunder to raise $15,000 to get the library off the ground–for rent, shelves, tables, chairs, and staff. Can you chip in to help make the library a reality and do something concrete and positive for the people of Gaza? It has been amazing, and inspiring, to see how people surviving in the Gaza prison, subject to constant and vicious attack and living under conditions of brutal deprivation, continue to maintain their dignity and commitment to a better life. Mosab’s initiative to create a library and cultural center in Gaza is an outstanding example of these remarkable efforts. What he is seeking to achieve would make a very significant contribution to enriching the lives of Gazans and providing them with opportunities for a much better future. It merits strong support from everyone concerned with justice and basic human rights. If you care about Israel, Palestine, Gaza, education, reading, books, stretching the imagination through encounters with the imaginations of others, or encouraging people who are trying to make the world a better place even in extremely discouraging circumstances, please give to the project and circulate this information to your friends and lists. You can read more about the library here and here.